Bubby and Bean ::: Living Creatively: Guess who WON the Marshalls Fall Fashion Giveaway??! 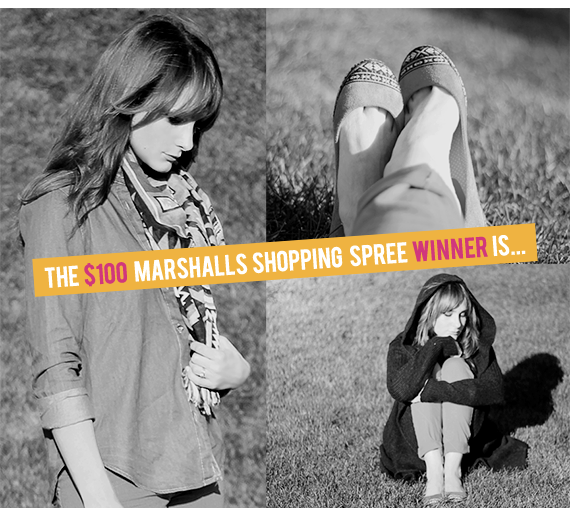 Guess who WON the Marshalls Fall Fashion Giveaway??! Huge thanks to Marshalls for teaming up with Bubby and Bean and donating such an amazing prize! If you haven't yet, don't forget to enter our big September Giveaway, going on right here.